Many of Australia’s worst droughts occur when one or two very dry years follow several years of generally below average rainfall. Such was the case in the so-called “Federation drought”, which began in the mid 1890s and reached its devastating climax in late 1901 and 1902. The five years leading up to Federation (January 1901) saw intermittent dry spells over most of the country, particularly in 1897 and 1899; in most of Queensland, dry conditions were virtually unbroken from 1897. Most other parts of the country had reasonable rain in 1900 and early 1901, but with the coming of spring 1901 very dry weather set in across eastern Australia. By February 1902 concerns were expressed about Sydney’s water supply, and the New South Wales Government declared 26 February a day of “humiliation and prayer” for rain in that state. Similar declarations were made in Queensland in April and Victoria in September, as the drought worsened. Despite the pleas for divine intervention, things only got worse. Though there was some winter-spring rain in Victoria and NSW, cold weather nullified its usefulness. In Queensland, enormous sheep and cattle losses were being reported by August. On some far western properties, cattle numbers plummeted from tens of thousands to mere hundreds. 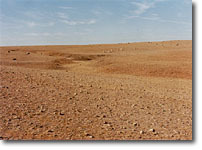 Rivers in western Queensland dried up; at Bourke, the Darling River virtually ran dry. Further south, towns near the Murray River such as Mildura, Balranald and Deniliquin – at that time dependent on the river for transport – suffered badly. The Australian wheat crop was all but lost, with close to the lowest yields of the century. 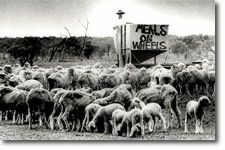 From 1896 to 1902, the worst drought in Australia’s history is believed to have killed half of the sheep population. It was also a period of both record heat and cold. April, 1902 was the driest month of the twentieth century. This drought followed on the heels of extremely heavy rainfall in the late 1880s and early 1990s, proving once again that the climate was very comfortable and stable when CO2 was below 350 ppm. We need to spend trillions of dollars so we can pretend to be trying to make the climate just like some people imagine it used to be. GUIDANCE on where to find information on the public’s BoM website pertaining to Australia’s important climate and weather history would be greatly appreciated.